Luxury vehicles are highly sought after for their superior comfort, design, and performance. They also come loaded with the best safety features, and owning one will give you prestige. While there are many good reasons to invest in a high-end ride, you’ll need to keep in mind that luxury auto repair and maintenance can be much different than what you’d find with an average set of wheels. For more insight, read the brief guide below on frequently asked questions. Why Does It Cost More to Repair Luxury & Exotic Cars? Many factors make luxury auto repair expensive. Luxury cars are built through high-tech engineering processes that involve the use of materials that are unique to each model. This means replacement parts can be pricey as they are often in very limited supply and can only be bought through the manufacturer. What Does Preventative Maintenance Involve for Luxury Cars? Preventative maintenance on luxury cars is not that different from the maintenance performed on regular vehicles. It still involves oil changes, fluid checks, brake checks, tire service, and such to ensure trouble-free driving. Mechanics also use standard techniques to inspect for cracked tires, seized wheel bearings, worn belts, and leaking seals. Why Should I Go to Authorized Service Centers for Repairs? Think twice before trusting local garage shops to handle luxury auto repairs. Authorized service centers specialize in high-service standards and have mechanics that are directly trained by the manufacturer. They can provide a faster turnaround because they have state-of-the-art tools and diagnostic equipment and have the necessary parts on hand. How Often Should You Bring Your Luxury Car in for Service? It likely depends on the brand of your luxury ride. Porsche® models stand out because of their long maintenance intervals. 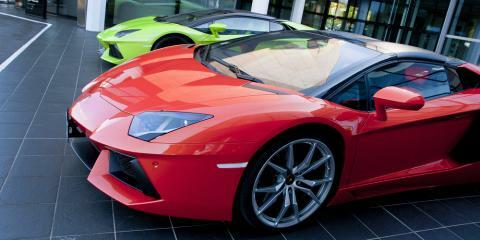 For Lamborghinis®, an oil and oil filter change is usually every 7,500 miles. The recommended service interval for a Maserati is every 10,000-13,000 miles, depending on the year and model. A well-maintained Ferrari can give you years of problem-free ownership, but it’s still best to schedule an annual checkup. What Are Common Auto Repairs Associated With Luxury Cars? Luxury cars are prone to malfunctions related to electronic systems, problematic clutches and brakes, and engine misfires, so most repairs involve fixing these areas. Go to certified mechanics who are experienced with these types of luxury car issues. Doing so will go a long way in extending the vehicle’s life span and improving its performance. When you own a luxury import vehicle or exotic car, you can count on Kudos Import Auto Service & Performance of Saint Charles, MO, for specialized services. They provide the proper attention your luxury car deserves. Whether you need a BMW repair or Porsche® service, these experts can help you get back on the road in no time. Call at (636) 448-7145 or visit them online to learn more.